PRESIDENT and First Secretary of Zanu-PF, Robert Mugabe has reportedly said Zanu-PF will investigate the origins and authenticity of revelations by whistle - blower website WikiLeaks that some of its members engaged United States officials and deliberated on sensitive matters without party approval. Several junior and senior Zanu-PF members allegedly engaged America through its embassy in Harare. This was despite the fact that the US administration imposed illegal sanctions on the country in an open show of aggression and disregard of international law. Zanu-PF, for the first time, discussed the WikiLeaks revelations at its Central Committee meeting last Thursday. Party spokesperson Rugare Gumbo yesterday confirmed the matter was discussed. He however, pointed out that the issue would not divide the party. "It is true that the issue of WikiLeaks was discussed by the Central Committee. The President was very clear that as a party we are looking into the matter to establish the origins and authenticity of the statements regarding what WikiLeaks revealed," Gumbo said. He, however, said the President and First Secretary of the party emphasised that the nation should wait until the results of the probe were revealed. Gumbo added: "The President said the nation has to wait until we examine the permutations of the WikiLeaks revelations." 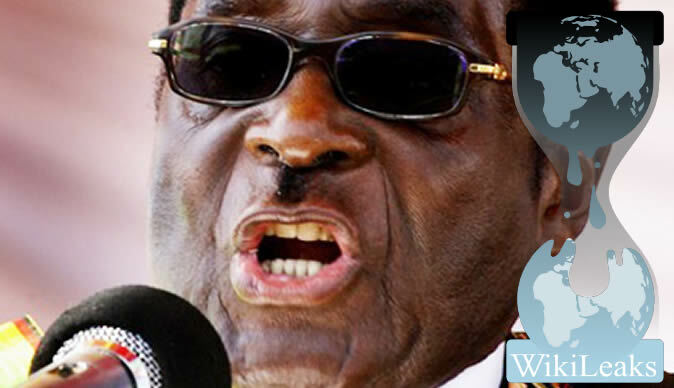 He said President Mugabe observed that there was an exaggeration of what was revealed by WikiLeaks in the private media. "At the present moment newspapers, particularly the private media tend to extract what they think will suit their marketing strategies and not what was originally said," said Gumbo. Zanu-PF discussed the WikiLeaks expose after a motion on the subject was moved by a Central Committee Member from Manicaland Province, Mandi Chimene. Gumbo said reports by WikiLeaks had made Zanu-PF much stronger. "We are going to be much stronger. Right now we are making the necessary preparations for our National People's Conference and they are going on very well. We are quite united in what we are going to do," he said. Last week, Gumbo said Zanu-PF had a long liberation history and would not be affected by WikiLeaks revelations. "This is a party with a long history. When we went to the struggle, there were conflicts and some people were even killed. We are taping into that experience to deal with WikiLeaks. I can assure you we cannot be divided," he said. The Politburo did not discuss the matter at its meeting last week.